Wailmer in game: 3,035 Who? Important notice! 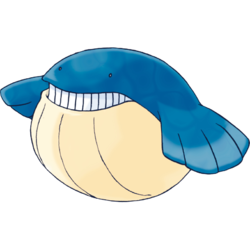 Pokemon Wailmer is a fictional character of humans. Wailmer is a spherical whale Pokémon with no tail. It has a dark blue topside and a tan underbelly with grooves. It has two fins that have finger-like appendages, baleen plates that resemble teeth, and a blowhole on the top of its head. Wailmer stores water inside its body, which it expels through its nostrils to startle people. When storing water in its body, it can turn into a bouncing ball. The more water filling its body, the higher it can bounce. It becomes lethargic when it is dry. It eats tons of food a day. It lives in the sea, and can only live on land for a short amount of time. It occasionally bounces onto the beaches to play. A Wailmer was befriended by Robin, a man who was living on an uncharted island, in Island Time. 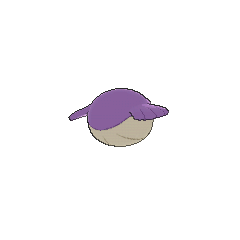 The Ball Whale Pokémon evolved into a Wailord in order to transport Robin, Ash and his friends to a ship heading to Ever Grande City, though Robin later decided that he wanted to go back to the island. 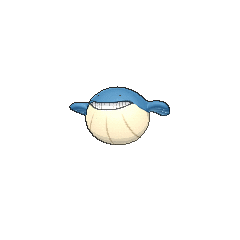 A Wailmer belonging to a Coordinator appeared in Pruning a Passel of Pals!, taking part in the Battle Stage of the Wallace Cup. It went up against Dawn's Buneary and lost. In Leading a Stray!, Ash assisted a Wailmer that was trapped in the sewers in rejoining its family in the ocean. It later evolved into a Wailord in the same episode. Two Poké Ride Wailmer appeared in SM005. 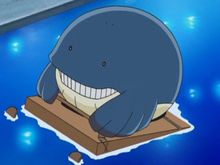 Wailmer's first appearance was a cameo in Pikachu's PikaBoo. 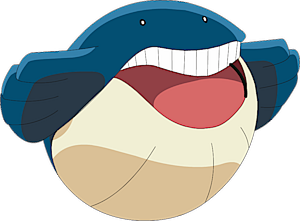 Ross used a Wailmer for the Tour de Alto Mare in Pokémon Heroes: Latios & Latias. Ross and Wailmer came in second while Misty and her Corsola came in first. Wailmer's first anime appearance was in Johto Photo Finish. Several Wailmer were swimming in the ocean in Hoenn Alone!. A Wailmer appeared in the opening of Destiny Deoxys. 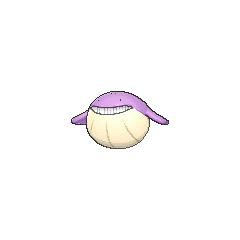 Several Wailmer also appeared in Clamperl of Wisdom. Wailmer made a cameo in The Great Eight Fate during Juan's water show in Sootopolis City. Multiple Wailmer also appeared in Pokémon Ranger and the Temple of the Sea. Multiple Wailmer made a brief cameo in Giratina and the Sky Warrior. A Wailmer appeared in SM005, during a fantasy. In Pokémon Adventures, Mr. Briney catches three Wailmer while fishing during his debut round. It shows off by spraying jets of seawater from the nostrils above its eyes. It eats a solid ton of Wishiwashievery day. Wailmer's evolution family are the only Pokémon in the Field egg group that have a unique egg group combination.